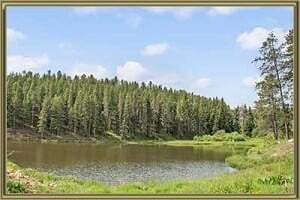 Conveniently located right off Hwy 285 in the Rocky Mountains, Green Valley Ranch is an affordable subdivision in Conifer. You will find ranch, 2-story, and multi-level homes ranging from 1,500 to 3,500 square feet and zoned MR-1, which allows horses on larger properties. Home for sale in Green Valley Ranch were built between the 1950’s though 1990’s. Lot sizes range from a ½ to 2 acres of pine forest. Average elevations of 8400 feet in the mountains mean that wildlife will be at your doorstep. Homes in Green Valley Ranch are conveniently located near Beaver Ranch, Conifer's Community Park which includes a disc golf course and a multitude of hiking trails. The Conifer Chamber of Commerce hosts a Fall Wine Tasting Festival, Kiwanis and Rotary and there is Conifer Historical Society and Museum. New to the Area? Call our Green Valley Ranch real estate agent at 303-325-5690 to schedule your tour of Homes in Conifer CO.